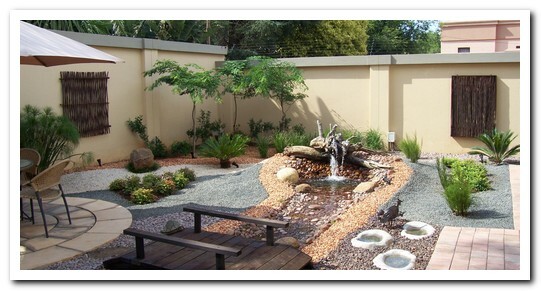 Garden design & layout: Gardens should be an extension of our home. A perfect sanctuary to escape to after a long and strenuous day - Eben Vermaas. We design any type of garden to meet your specific needs. A variety of styles which include our innovative formal and informal designs, range from Indigenous, Water-wise, Eco-friendly, Bird-friendly, Bushveld, Bali, Tropical, Tuscan, English, Japanese, Zen garden, Moroccan and more. Eksklusiewe Landskappe | Exclusive Landscapes offers professional garden design and layout of new and existing gardens by suitably qualified landscapers with vast experience. Plants used are sourced from approved Garden Centers such as Safari Garden Center as well as other suppliers in Pretoria and strict quality control measures ensures that all plants are of highest quality.